As corny and cliche as it may be, the new year has indeed brought us a tidal wave of plans for self-improvement...including in the diet department. (Other plans include revamping our budgeting and time management strategies, and embarking on monthly creative family projects, but we'll talk about that in future blog posts.) Today, I'll tackle the tricky topic of FITNESS. Let me begin by saying that I love food and everything relating to it: cooking, trying new dishes, shopping for interesting ingredients at unusual places, and I have been known to swoon over ridiculously specialized gadgets at Sur La Table (think wonton crimpers or chocolate lava cake molds). In summary, I derive a vast amount of comfort from food. Since an ankle injury sidelined me two years ago, I have not been able to keep up my once robust exercise regimen, and the scale has been my witness: 20 pounds up in two years, in a slow but steady increase that, most likely, will continue until I make a change. I think it's important to note here that I've had lots of experience with diet programs of many stripes, off and on since the age of 11 (started early thanks to ballet) and haven't found my pot-of-gold diet yet. Nothing I could stick to indefinitely, that is. 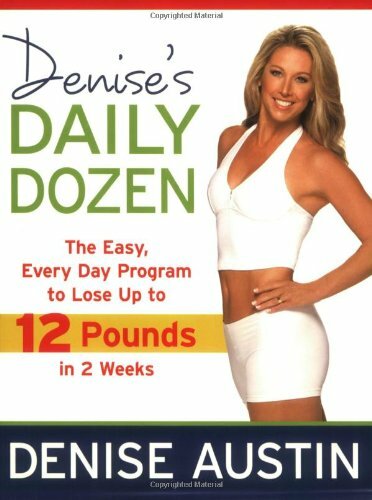 At the New Year, however, I picked up two books on the topic of fitness: Denise Austin's Daily Dozen, and Kathy Freston's The Lean. Kevin agreed to jump in with me and try them both, beginning with the 3-week program in Denise's Daily Dozen. 1) It was really effective as a weight-loss and fitness jumpstart (we lost over 10lbs. together)! 2) The daily walk at lunch was both bonding and stress-relieving. 3) The cardio and strength training exercises were eye-opening (read: surrsingly hard!) but also kind of fun (we did this for half an hour each night between the kids' brush-teeth and lights-out time, accompanied by strictly 80's music)! 4) It would be VERY hard to keep up this kind of adherence to specific recipes and snacks 3-5 times a day, every day. The time commitment for me was close to 3 hours. The moral of the story: Putting the effort in works, and while we need to continue making time for the daily exercise, we also need to simplify the food part. 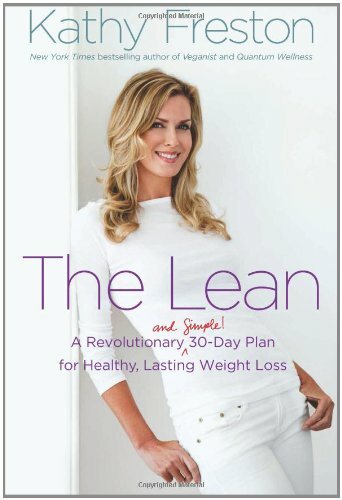 So, today we are beginning The Lean, a 30-day program by Kathy Freston that introduces one small diet or lifestyle change per day, moving towards a vegan diet. Neither Kevin nor I have tried veganism, but we're both feeling game. Her book is chock full of research and seems really reasonable. I'll let you know how it's going when I blog again in two weeks. Until then, I'll borrow a phrase from Oprah and tell you "what I know for sure": 2013 seems to be shaping up as a time to stop losing time on things that we don't really want, and discover/create ways to invest more time into the things that matter most. Included on that shortlist for me is good health and a body I feel comfortable and happy in. If you'd like to share your fitness goals, tips, stories, or your 2013 Shortlist of Things That Matter Most here, I'd love to hear from you! Until then, I wish you truly well.